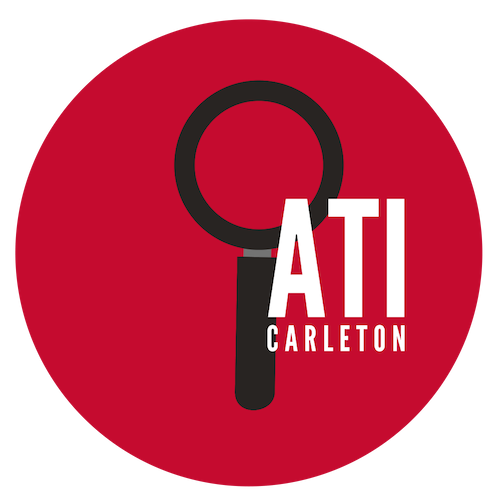 The Access to Information Carleton (ATI) Carleton Working Group uses Access to Information and Freedom of Information legislation to research various issues of public interest. Issues can be related to other WG areas, or determined by OPIRG members. We put the R in OPIRG. In recent years, we have published several academic and media publications resulting from ATI/FOI requests. These publications have appeared in Policing and Society, Security Dialogue, Current Sociology, Punishment and Society, Social Movement Studies, Canadian Journal of Crime and Criminal Justice, The Dominion, The Leveller. News coverage of our research has been aired on CBC’s As It Happens, the Globe and Mail, CTV, and APTN.